The other side of the battle. Aces of the Luftwaffe - Squadron is receiving some new content today, in the form of new levels, six new bosses, and enhanced cooperative play. The DLC is called Nebelgechwader and follows an alternative view of the events of the base game. 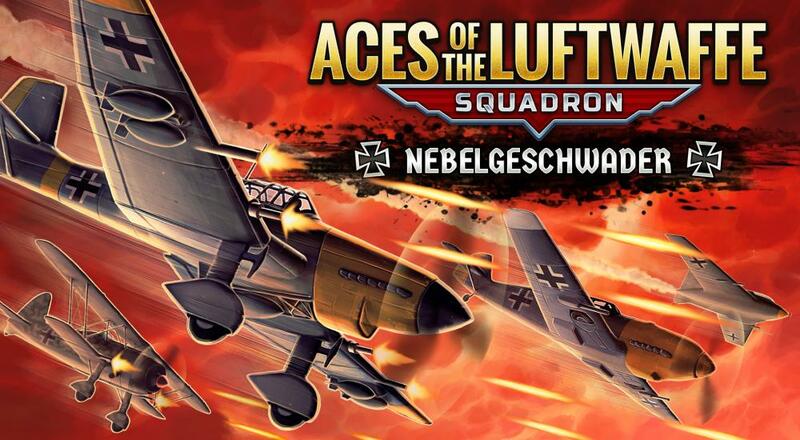 Aces of the Luftwaffe - Squadron is a classic style SHMUP with up to four players in couch co-op. The Nebelgeschwader DLC will set you back $4.99 and is touted as having the "same amount of content as the base game." It's out now on Xbox One, PS4, PC and Nintendo Switch. Page created in 1.7281 seconds.